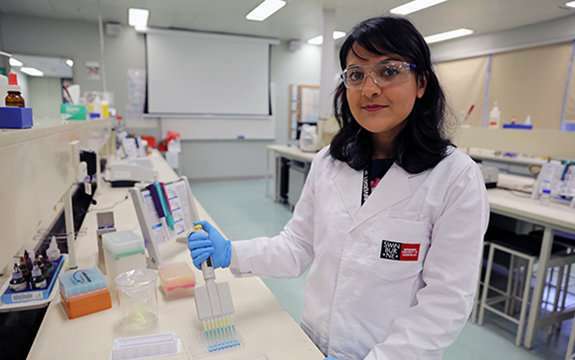 As antibiotics become less effective against superbugs, a Swinburne researcher has been focusing on traditional agents to modify the behaviour of bacteria rather than killing bacteria. As part of her Ph.D. studies, Dr. Sanjida Halim Topa investigated cinnamaldehyde, a major component of cinnamon essential oil. She found it inhibited the development of biofilm, a sticky film of bacteria – like the plaque that forms on teeth – that can cause persistent infections, which resist even the most potent antibiotics. Dr. Topa's research has been published in Microbiology. "Though many previous studies have reported antimicrobial activity of cinnamon essential oil, it is not widely used in the pharmaceutical industry," Dr. Topa says. "We aimed to search for the molecular activity of this oil, focusing on its major component, cinnamaldehyde. This is the compound that gives cinnamon its flavour." Rather than killing the bacteria, Dr. Topa was looking to modify the behaviour of bacteria by disrupting bacterial communication to prevent biofilm formation. "We hypothesised that using natural antimicrobials, such as essential oils, might interfere in biofilm formation. Thus, we focused on the impact of different concentrations of cinnamaldehyde in different biofilm development stages. "Humans have a long history of using natural products to treat infections, and there is a renewed focus on such antimicrobial compounds. Natural products may offer a promising solution to this problem," Dr. Topa says.